My name is Soriya Hing, I am 20 years old. I am a 1st-year student at the Royal University of Phnom Penh. I have 4 brothers and 3 sisters and I am from Poi Pet city. My father was a worker and could make about $200 per month, but now he retired and my mother is a housewife. When I was young I always helped my mother after I came back from school. It was hard to support my brother and sister and me. I had decided to work in a factory to earn some money to buy books and clothes for attending school. I could make about $120 per month with no future. The problems make me stronger and give me more confidence in pursuing a degree in Phnom Penh. 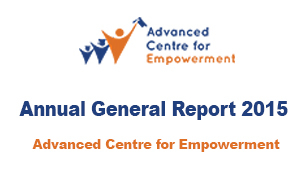 I earned a scholarship to stay in Advanced Centre for Empowerment. I know how to communicate and live with different people from different provinces. I do believe that ACE could help me get stronger, braver, and more confident through the trainings it provides. It especially builds up my capacity to become a good person through leadership lessons. In the future, I want to be a good teacher, and I want to open a private school in my community.